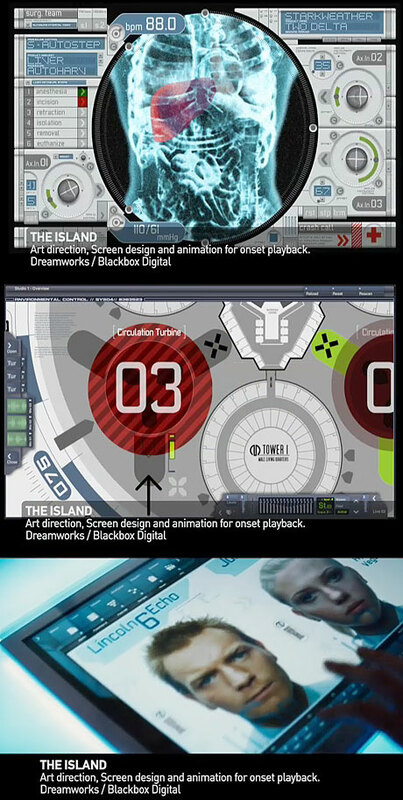 Have you ever seen those cool interfaces or graphics that are shown in movies, mostly sci-fi, and wondered who created them? I ran across this old post on Flowing data about a guy who creates those “infographics”. Sounds like a very cool job! I think I first became aware of infographics/visualization in the 1997 movie Event Horizon (which is when I became interested in HF) and have been a keen observer ever since. The movie was so-so but I distinctly remember the interfaces for the ship being fluid, novel, and cool. Or more recently, the multi-touch, gestural interface used by Tom Cruise in Minority Report. Mark Coleran creates infographics/visualizations for film/tv. His demo reel is definitely worth a look (quicktime web plug in required).